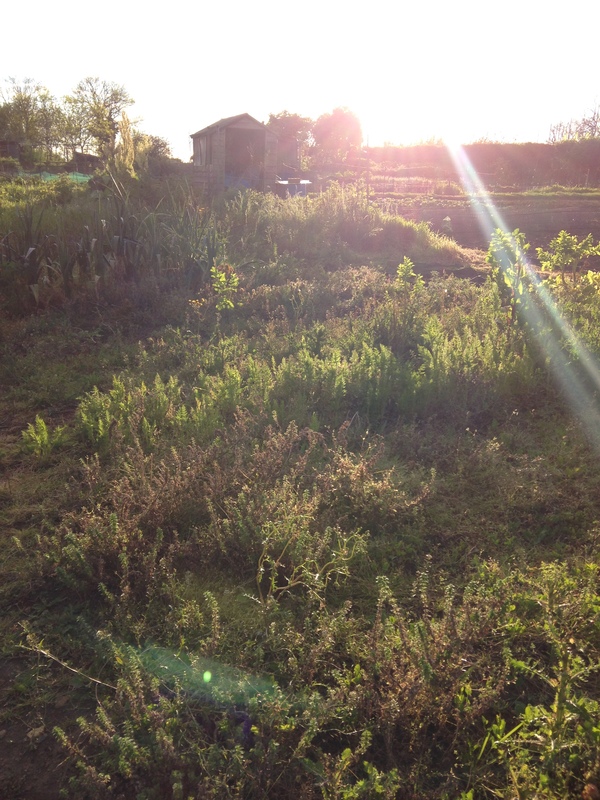 We’ve been without an allotment for what feels like FOR-EV-ERRR, but in actual fact has been about…9 months. But that is 9 months too many for us. We’ve been twiddling our green(ish) thumbs wondering what on earth we were going to do with all this free time. Last September we decided it was about time to move out of our rented house and move in with Oli’s parents, so that we could save for a place of our own. This meant we were going to have to give up our allotment too. That was the hardest part for me. We thought about keeping it, but it was just too far. We even had to put our wellies and wheelbarrow into storage! Sad times. But we have finally managed to save (through a lot of determination and skimping), and have finally managed to buy our first home together. We haven’t moved in quite yet, we’re having to be patient and wait as its a new build. We have also been very lucky, as right next to our new home is a field with allotments in! (excuse me a moment, whilst I jump up and down and scream with excitement!!) We put our name on the waiting list as soon as we knew for sure we would be living near by. Although we hoped for the best, we didn’t think we would get a plot this year. However, this weekend, I had a phone call from the guy in charge of the site, to say that a 5 pole plot was available and did we want to come and have a look? Well YESSSSSSSS of course we do! Tonight, we met him there, with massive smiley faces and had a tour of the site. Its the best thing ever! I love it already. Hopefully we will get there tomorrow, there’s lots to do and we’re dying to get stuck in. 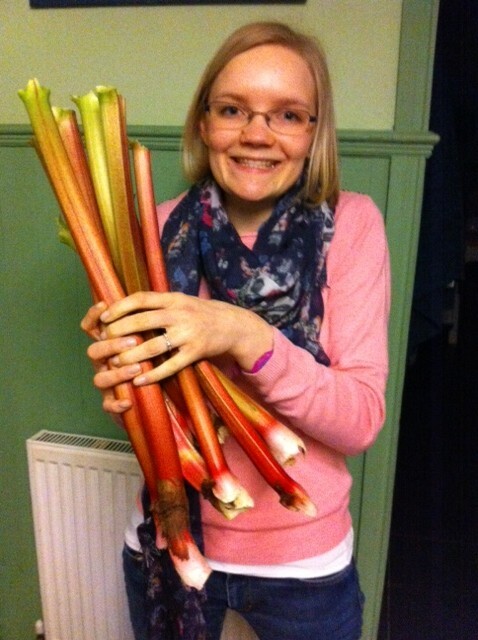 We even got given a lovely bunch of Rhubarb to go away with – which Oli decided to start eating raw because he was so excited he couldn’t wait! Has anyone else just taken on a new plot? What are your plans for starting?